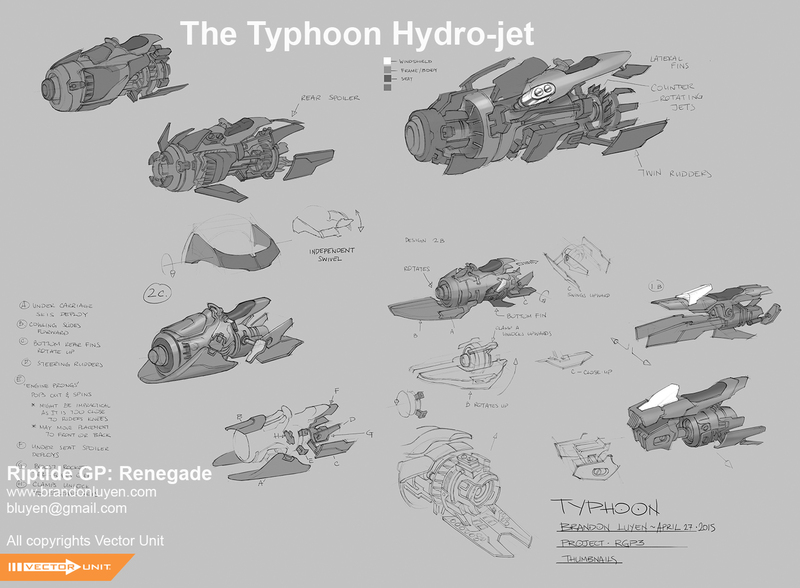 One in a series of vehicle work I did last year for 'Riptide GP: Renegade' from the cool folks over at Vector Unit. The game is out now on all major platforms and mobile as well! 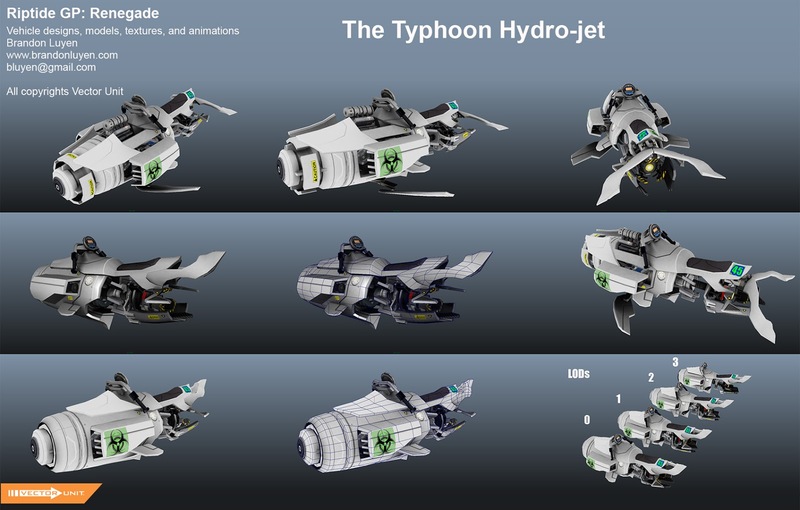 The tear-sheet is the unpainted primer version of the hydro-jets. The transform sequence was some of the most fun and challenging mechanical work that I've done!